There's Only One Puamana! Free Wifi! Great Rates! Partial Ocean view condominium/townhouse, ground floor with loft, tennis, three pools. 400 ft from the ocean. You will have swimming, snorkeling, and surfing with the Pacific Ocean right out front. Puamana is a tropical oasis where the sun always shines . You can enjoy the luxury of the Puamana Estate, and casual living at its best. Safe, secure, gated, tropical grounds with picturesque ocean frontage. Puamana is a classic development built in the 60's: low rise, beautifully planned, and well-maintained. Lots of open space with former plantation estate home restored and still on the grounds as our clubhouse. 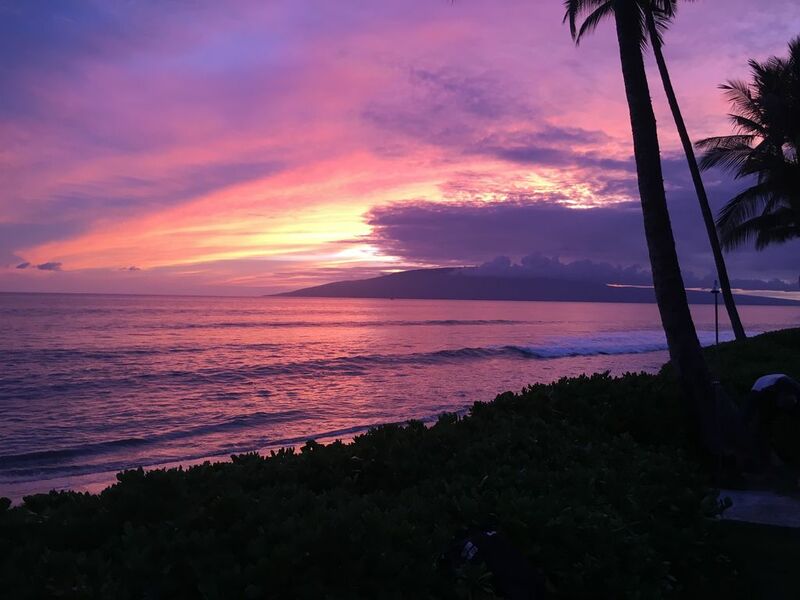 Every sunset is sensational - the clubhouse lanai overlooking the ocean is where you will want to be each evening. Our place is a home - not a condominium or hotel room. It is very comfortable with an island feel, allowing you to enjoy casual living at its best. You will feel taken care of, and will be enjoying life in the midst a tropical paradise. Our townhouse has all the conveniences of home, and best of all, it is located in the islands. Nicely furnished with that casual, easy going island feel, lanai, semi-private garden/yard and barbecue, so you can literally 'live outside' as much as you choose. Parking is available, with one space close to our townhouse. Public transportation is available to other areas of the island, with schedule limitations. Lahaina, the former whaling village, is now a seaport/harbor. Lahaina is a center for activities so it continues to be a major attraction to the fun loving masses. Water sports of every kind are available here, and the town is packed full of dining establishments, shopping galore, a movie house, etc. Lahaina also attracts artists and those interested in their work. This is definitely a hot spot, and the town center is a quick ten-minute walk or five-minute bike ride from our place. Puamana, on the other hand, is quiet and away from the crowds. That means you get the best of both worlds. This is a highly desirable location on Maui, and Puamana is the place to stay. Puamana is an historic development; one of a kind! Remember, there is only one Puamana! And you can be there. Email to reserve or for more information on our place. Puamana has blue, blue, blue Pacific Ocean on one side and the West Maui mountains on another side - amazing! Partial view from kitchen and upstairs windows - Shows you how close you are to the beach!